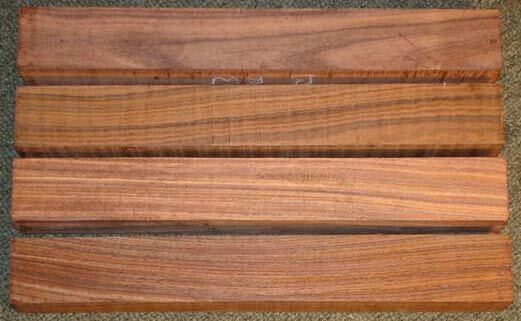 Buy over 75 Exotic Wood Cue & Spindle Blanks Online. No Minimum Order. RARE 1.5 X 1.5 SIZES! 1.5" x 1.5" x 24"
1.5" x 1.5" x 12"
1.5" x 1.5" x 18"
1.5" x 1.5" x 14"
1.6" x 1.6" x 12"
1.6" x 1.6" x 18"
1.6" x 1.6" x 24"
Looking for spindle sizes of 2" x 2" or more, please visit our individual wood pages. **CAN NOT BE SHIPPED INTERNATIONALLY!